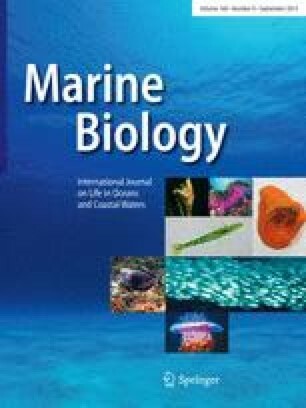 In the southern Mediterranean Sea, replicate samples of six common upper-infralittoral algae (Cystoseira barbatula, Cystoseira spinosa, Sargassum vulgare, Halopteris scoparia, Dictyota fasciola, and Dictyota dichotoma) were collected with the major goal of investigating the composition and structure of molluscan assemblages between the algal species. In order to measure the habitat architecture of the six algal species and relate this to the molluscan assemblages, several structural attributes were calculated on each individual plant. There were differences in architectural attributes between the six algal species, with data recorded for S. vulgare and H. scoparia more similar to data for C. barbatula and C. spinosa (which grouped closely), than for the two species belonging to the genus Dictyota, which had a less complex structure. A total of 1,914 specimens and 57 species of molluscs were found on the collected algae. The abundance and diversity of the molluscan assemblages were significantly different between different macroalgae. In general S. vulgare, C. barbatula and C. spinosa supported a higher abundance, greater number of species, Shannon–Wiener diversity, and Margalef's index than the remaining three algal species. Both multivariate analyses (i.e. cluster and multidimensional scaling) and a posteriori tests (Student–Neuman–Keuls' test) demonstrated that samples collected on D. dichotoma were well separated, reflecting the lowest values of abundance and diversity. The molluscan assemblage data were also correlated to the attributes of algal architecture revealing that the combination of degree of branching, algal width and the log of the stem width provides a good explanation for molluscan structure. Differences in the molluscan assemblages of these six common Mediterranean algae can be attributed to different algal architectures, and, consequently, these could be related to the supposed variations in food availability and predation rate.